Do you keep fifty six boxes of Girl Scout Thin Mints in the freezer because you’re afraid of running out? Oh. Maybe that’s just me then. I have loved Thin Mints since I was eight years old, so when I realized I could make them myself it was life changing. Life changing. I saved the recipe for this series because these cookies make the sweetest little gift packages and they could not be easier. Three ingredients? Anyone can make these, I tell you. Package them up in a pretty cello bag with a ribbon tied around the top and you’ll look like Martha Stewart. Without the prison record. p.s. Nabisco makes chocolate wafers; I buy them at Wal-Mart. And sometimes you can find Oreo thins. Regular Oreos work great too. It’s just a little more time consuming to lick…er, scrape the filling out. Melt chocolate according to package instructions. Stir in mint extract. 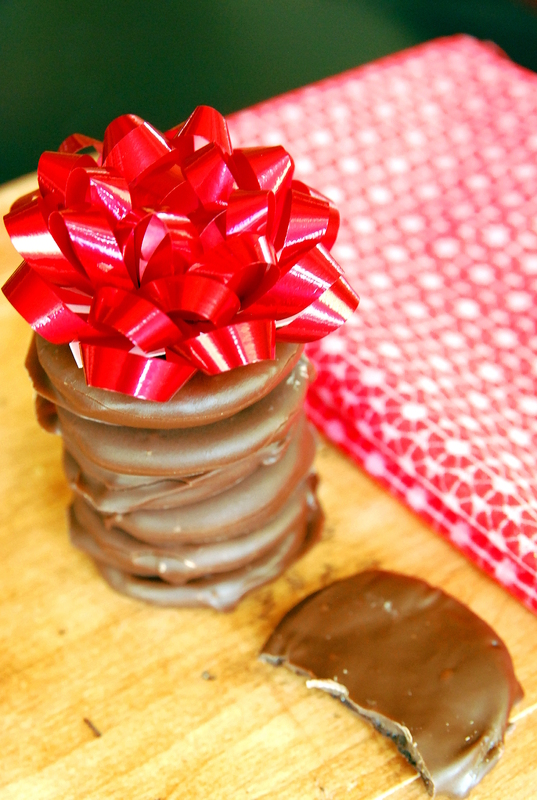 Dip each cookie into the chocolate, one at a time until completely and evenly coated. 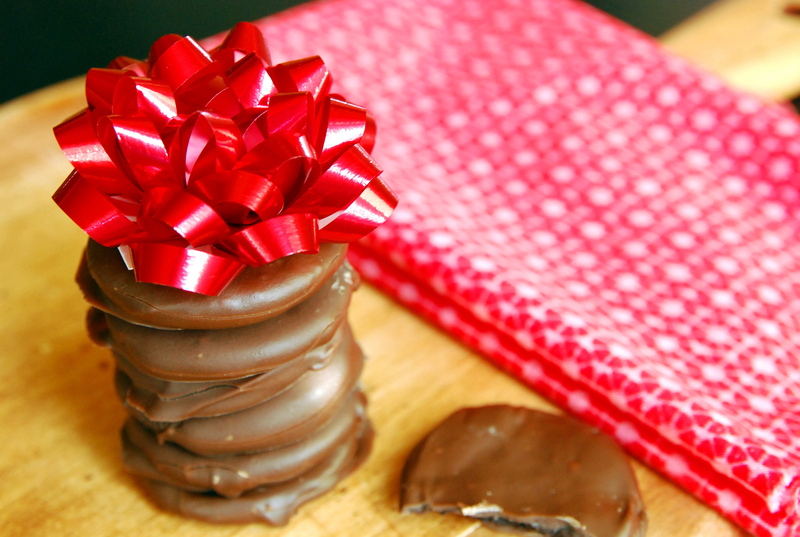 Set on wax paper until chocolate is set.